Senator [Stephen] Douglas is of world-wide renown. 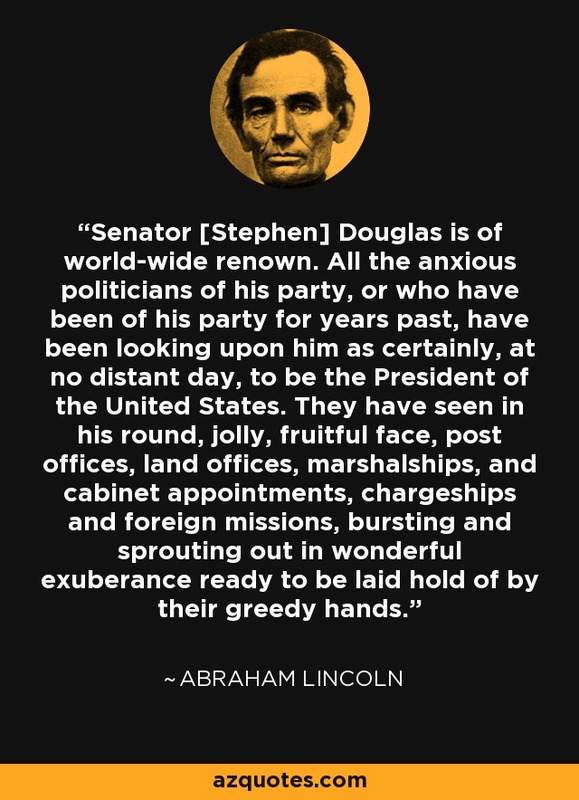 All the anxious politicians of his party, or who have been of his party for years past, have been looking upon him as certainly, at no distant day, to be the President of the United States. They have seen in his round, jolly, fruitful face, post offices, land offices, marshalships, and cabinet appointments, chargeships and foreign missions, bursting and sprouting out in wonderful exuberance ready to be laid hold of by their greedy hands.